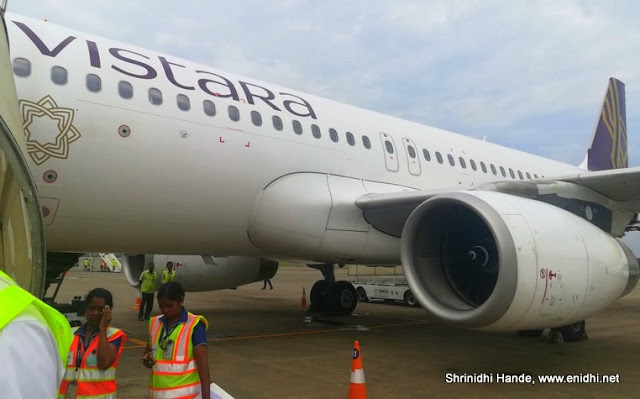 I had earlier written about Vistara's Economy lite fare, but have an updated opinion based on recent observations. Now I see that fare difference between Economy Lite and Economy Standard is growing further- like Rs 500 to 600 on longer duration flights. If the difference is significant, I think Economy Lite is a good choice. You can save this amount, buy some food for 200-300 rupees and still save a bit. 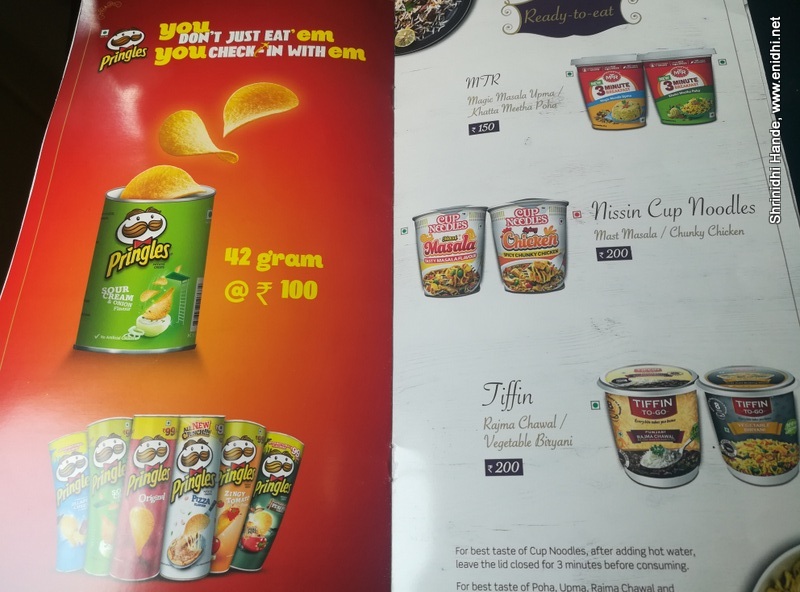 So decide based on the gap in fare and your preference of food- fine with their standard meal/snacks or you'd like to buy something instead..
Vistara was (and is) a full service airline, which implied meals and baggage are included in the ticket price. However, recently Vistara has made a change and has introduced a new category, called Economy lite. Economy lite is being offered as a freedom fare under the promise that those who don’t want to pay for the meal can save some money. 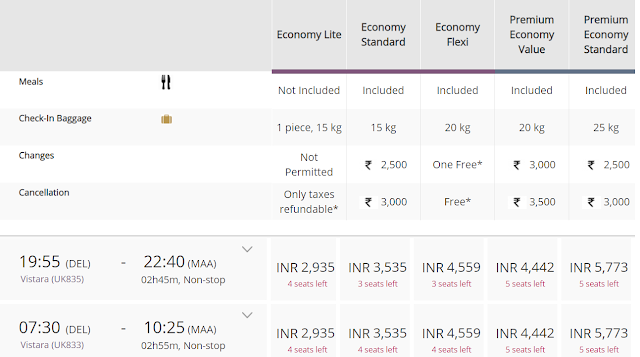 Last week, when I checked, Vistara economy lite fare was visible on very select sectors- Economy lite fare was Rs 210 cheaper than Economy standard. By paying Rs 210 less, you miss the meal (or snacks on short flights) and some other restrictions such as you also don’t get to change travel dates, or buy an upgrade or anything else. Will be awkward for cabin crew- now they have to carefully skip serving meals to those who have purchased lite ticket. This gets complicated if passengers change seats inflight. More time to check boarding pass/their manifest before serving, collect cash from those who want to buy and so on. Rs 210 savings is not significant enough. If it was Rs 500 or 1000 less and say without check in bag allowance then the fare would have been more tempting to those who don’t have check in bag. Otherwise I think most would pay Rs 210 extra and prefer the benefits of standard fare + a meal. Now it is more complicated for travel agents and others- they should be careful to book their guests on the standard fare and not lite, so as not to upset them without a meal. Note: It is not fixed that all lite fares will be cheaper by exact 210 rupees-may be more may be less. Economy Lite is not available on all the sectors all the time. It is being rolled out in a phased manner I guess, or the airline is experimenting with select sectors to check how customers like this new fare category. This week, I checked multiple origin-destination combinations. I couldn’t see any lite fares. I guess they are rethinking their strategy/pricing. 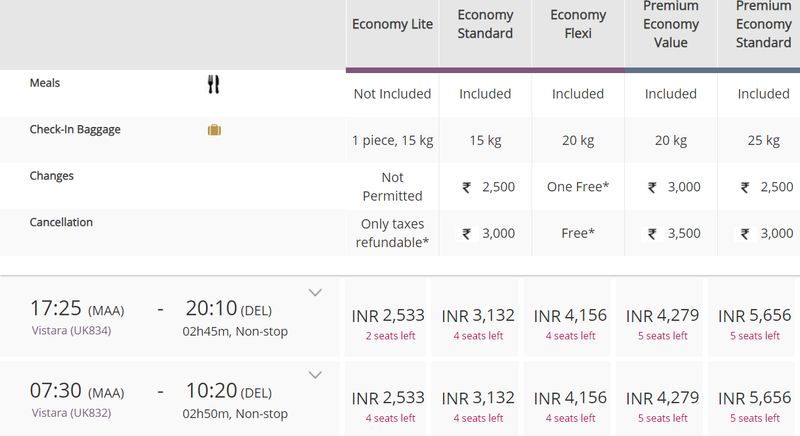 I put a tweet to Vistara- they promptly responded showing me that Economy lite fares were available for Delhi-Mumbai sector on Aug 30th. Many airlines in the world are trying this bare bone pricing structure- even British airways has tried something similar, but they haven’t eliminated meals to save money-would be awkward on a long haul flight. Instead the ultra low cost seat usually comes without check in bag. 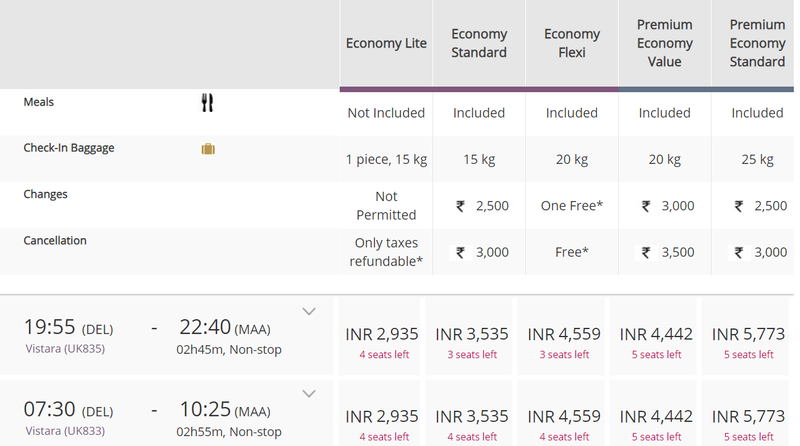 Indigo and Spicejet already have a cabin bag only fare- I think that will be more appealing to those who travel lite. Vistara is also planning international flights by end of 2018- will be curious to see if pricing and if lite fares will be offered. 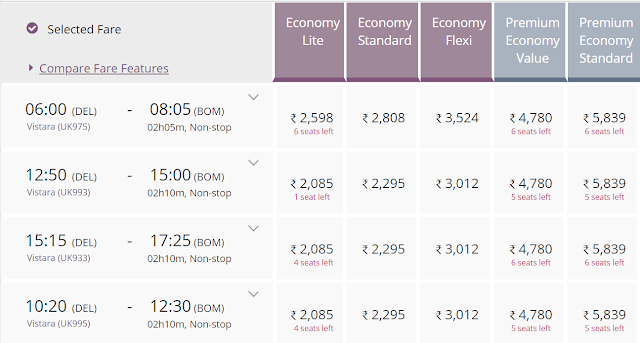 Are you able to see Vistara lite fares on any routes? Does saving Rs 210 and skipping the meal excite you? You think it is a good idea or do you prefer a cabin bag only fare? 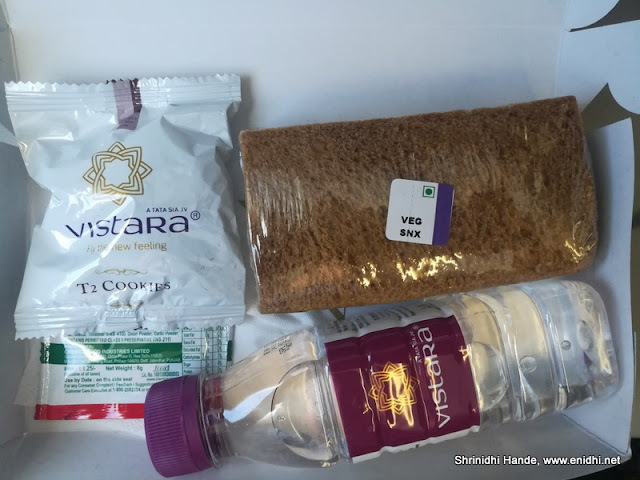 Let us see how this Vistara's lite fare sustains/if it gets popular.